Put an end to all your web development worries with B2C Web Development. Race ahead with time by boosting your online presence. The corporate world is constantly progressing and advanced technology has fastened it more. Thus, it has become necessary to keep your business one step ahead to stand out from the rest. You will have to bring more innovative ideas and the latest advancements in your business to make your position in the current marketplace. The B2B market is the best online platform to promote your business globally over the internet without spending a lot of money. This is really beneficial as it helps you in connecting one business to another around the globe and at the same time, attract more business opportunities. If you are interested in creating and developing an online website for B2B, then choose us for availing reliable B2B Web development services. While building an online website for B2B, it is necessary to choose a company which has gained a reputation in this industry because it will be able to provide you with the latest techniques that are essential for a solid B2B website. One of the biggest challenges in B2B web development is balancing the need for factual contents. 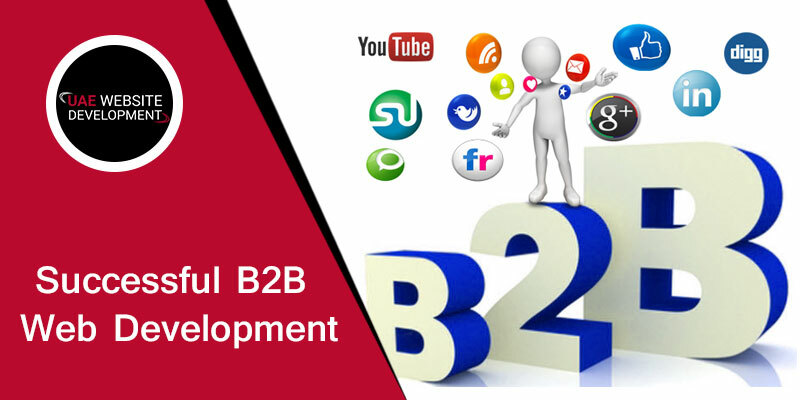 Other than this, the goals of a B2B website are generating the sales lead, building credibility and providing relevant information to satisfy the needs of both the buyers as well as the suppliers. Apart from that, it should be equipped with powerful and credible contents that would convey the company’s value proposition. Informative and creative contents- First of all, only the look is not enough to make an effective site. Therefore, you require a powerful content with a professional and promising tone to attract more clients to your website. Build trust and credibility- Usually, people get attracted towards the brands that appear more credible. If your website possesses clearly visible information about the positive testimonials, about the team and the contact information, it will offer the clients a sense of credibility and likewise, elevate the brand reputation. Professional images- Professional imagery and iconography are a must for a successful B2B website. It is because these striking images help the brand to communicate visually with the website visitors. Enhanced user experience- Enhance the user’s experience by developing and designing an interactive and engaging platform for the businesses. Market research- Perform in-depth market research for figuring out the best market opportunities and understanding the needs of target customers. Place a call at our helpline number 042053349 and interact with our professional team of B2B web developers at UAE Website Development. We talk to our clients and based on their requirements, we design the websites. Our web developers are available throughout the day to assist you at the time of your need. Alternatively, you can also use live chat support to talk to our professionals and avail the appropriate solutions online. You can certainly get in touch with us to avail reliable B2B website development in Dubai and make your business shine.